• Magnetic Resonance is a special imaging modality that allows us to look deep inside the body, helping doctors to detect abnormalities. This technique does not use radiation at all and is completely safe. • During acquiring images, you are placed in a sliding table with some molding cushions. The atoms are transmitted from the gangtry to the body , interact with tissue and come back to the receiver . Then, these reflecting signals are processed by a computer to rebuild images of the body. This unique imaging is basically non-invasive, painless and quick, mostly lasting from 25-45 minutes. 2.What is indication for MRI ? 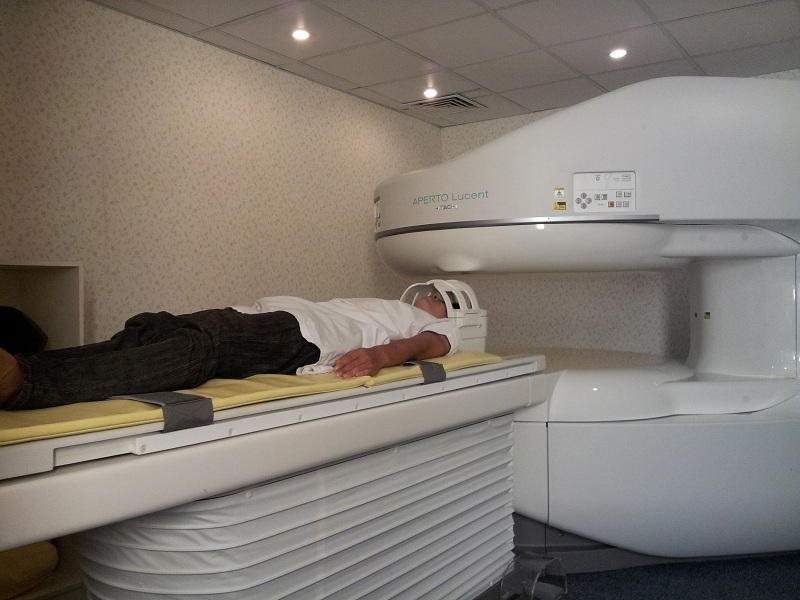 • Magnetic resonance is widely indicated in most systemic disease, specially for brain and spine area, bones and joints, abdomen and pelvis abnormalities. 3.Is MRI really safe ? • As MRI only uses magnetic fields and radio waves to build images, it is painless and non-invasive. There is no recognized harm to human being until now. • However, by using strong magnets, unexpected events may happen if there are metal objects implanted inside the body. Therefore, patients need to read our instruction carefully and provide accurate information to our medical staffs as requested before entering the MRI room. 4.What need to be done before MRI ? • To avoid unexpected events, all the metal equipment/personal belongings MUST be takent out before entering the MRI field. • You will be asked to provide information in the questionnaire. Please take it seriously for your better care and your own safety. 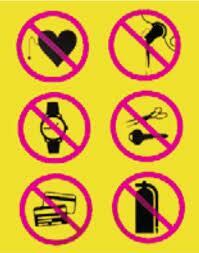 • Patients with pacemakers and implanted hearing aids can not have MRI. Metal devices implanted in other area may have MRI under supervision. In any case, you need to discuss further with our radiologists. • You will be put on a sliding table, then slowly moved in to the gangtry . It may be slightly noisy please but don't worry . Trying to lie still would be a big help for good results. • During the process, you will be monitored continuously with an overhead camera. There is a microphone that you can use to notify our staffs if you feel uncomfortable. • You do not need to be starved before having MRI. • Please bring in all previous records, tests and photos if possible.